There are times when the liability limits of a standard insurance policy like auto or homeowners are not high enough to protect all of the financial assets and personal property of the policy holder. When this is the case, the solution is umbrella insurance. Tampa area residents and businesses can purchase umbrella (also known as excess liability) insurance as an add-on to the liability portions of their underlying policies. This additional coverage can often be purchased for only a few hundred dollars or less per year. 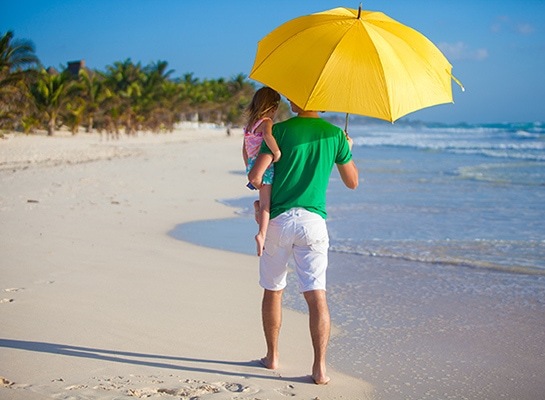 What Does Umbrella Insurance Cover in Florida? Like the name sounds, an umbrella policy is like an umbrella that covers you and keeps you dry during a storm. In this case, it would be a financial storm in which your assets are at risk because someone is suing you. This lawsuit could be for a personal injury resulting from a vehicle, motorcycle or watercraft accident, an injury occurring in your home, or damage done by you, a family member or pet outside your home. When the liability limits on your regular policy are exhausted, your umbrella policy kicks in to provide the additional coverage you need to make sure your finances are protected. How Do I Know If I Need an Umbrella Policy? When considering whether or not to buy umbrella insurance, Tampa area residents should total all of their financial assets and calculate their net worth. If your net worth is higher than the liability limits on your regular insurance policies, then you should definitely choose an umbrella policy to cover the overage. For example, if the liability limit on your home owners or rental policy is $500,000 and you have $1.5 million in assets, then you would need additional liability insurance of $1 million. It should be noted that even if you don’t have a large amount of personal assets, a lawsuit that exceeds the liability limits on your standard policies could lead to bankruptcy and/or years of wage garnishments. Because umbrella policies are very affordable, it may still make sense to buy the additional coverage to protect yourself and your family from financial disaster. Who Should I Buy My Umbrella Policy From? That always depends on your individual circumstances and coverage needs. With umbrella insurance, Tampa residents should know that no single insurer can provide the best coverage in every situation. At Cornerstone Insurance, we are an independent insurance company representing several of the top insurance carriers in the state of Florida. We are able to leverage our relationships with these carriers to customize an umbrella insurance solution that will be tailored to meet your needs and fit within your budget. We have years of experience providing personal insurance to residents of Tampa and south Florida and we pride ourselves on giving quality service to all our clients. To request a free umbrella insurance quote, contact Tampa’s Cornerstone Insurance Agency by calling 1 (877) 277-2715 or by filling out our quick quote form.